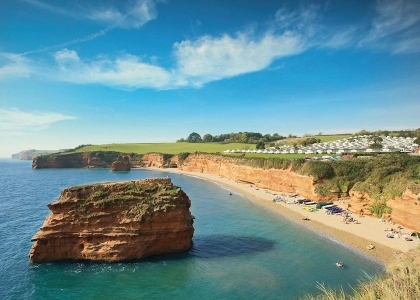 The popular seaside haven of Sidmouth in South Devon is a great choice for your next dog friendly holiday by the sea. The main beach in Sidmouth is Jacobs Ladder Beach and accepts dogs on a designated part of the beach during the summer months, whilst outside of the holiday season your faithful hounds are allowed to roam wherever they please. There are plenty of facilities near the beach including parking, toilets and a cafe so there’s no reason why you can’t spend a good part of your day here exercising your four legged friends. To book one of these self-catering Sidmouth pet friendly cottages it’s simple; check availability online and book direct with the property manager or owner.